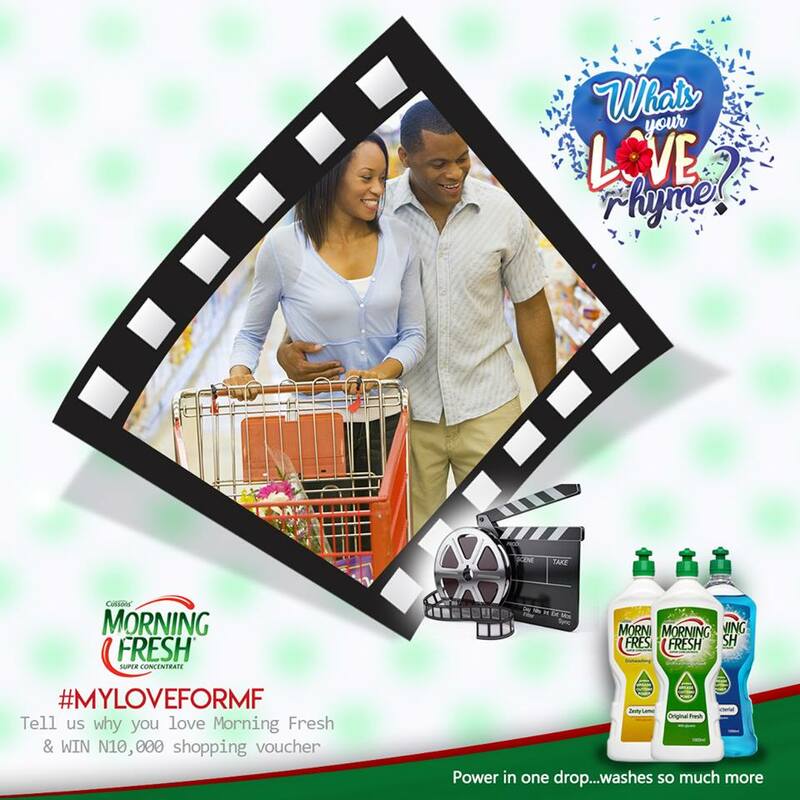 #MYLOVEFORMF Tell us why you love Morning Fresh & Stand a chance to Win N10,000 Shopping Voucher. 1. Go to your point of purchase of Morning Fresh dish wash liquid. 2. Creatively take a picture of yourself at the location. 3. Take another picture of the product in your shopping basket or bag when you get home. 4. Share with us your 2-in-1 picture and why Morning Fresh is your most preferred dish wash liquid. 5. Upload under this post or on the wall with the hash tag #MyLoveforMF. 6. Inbox us your full name, email, phone number and location. 10 winners will get #10,000 Naira worth shopping vouchers each and will be selected randomly based on creativity. Winners will be declared on the 15th of February, 2018.